RAMU NicO Nico Management (MCC) in Madang will reconsider its decision on the planned K5 billion expansion programme, vice-president Wang Baowen announced last Thursday. He said the company was reconsidering its earlier announcement to expand the mine because of the costs involved. Baowen said the company was yet to finish some of its obligations in its memorandum of agreement which expired last year. He said the agreement must look after expectations and benefits of landowners, including stakeholders like the national government, provincial government, local level government and landowners. 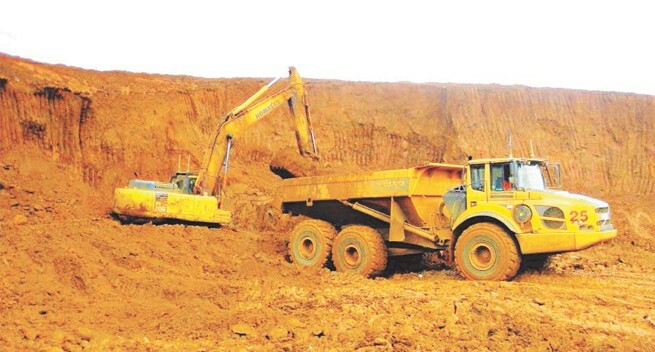 Ramu NiCo Management, which runs the Ramu nickel and cobalt mine, announced a planned K5 billion expansion of the mine during Apec last year. The announcement has created controversy among the landowners and other stakeholders. Prime Minister Peter O’Neill and Madang Governor Peter Yama both said mine expansion would be guaranteed only after the current agreement was reviewed. Yama said the agreement review would ensure more benefits go to the landowners and stakeholders. “The Ramu nickel mine expansion will wait till we conduct the review,” O’Neill said when he visited Usino-Bundi district last month. Landowners of the Kurumbukari mining area at Enekwai threatened to shut the mine’s water supply in December when they heard about the expansion. The particular focus would be to build a highway between Erima to Saido and other roads, health and education facilities within these two districts. Governor Yama also supported the position of the Government of Morobe and the Tutumang Government that there shall be no “Fly in Fly Out”, for the Wafi -Golpu Mine Project and other Mines and Resource Projects into the future. Maru said the Government is committed to build a highway from Erima to Saidor in Rai Coast District to assist the people living along these areas access markets and services and is seeking the support of the Chinese government to focus their development grants away from Port Moresby to two the remote districts of Usino- Bundi and Rai Coast, which hosts the only Chinese owned mine in Papua New Guinea, the Ramu NiCo Mine. Prime Minister Peter O’Neill, has announced there will be no extension of the Memorandum of Agreement (MoA) for the Ramu Nico in Madang province. The initial MoA was signed in 2000 and expired in March 2018. It is now due for a review, however the Prime Minister announced last Friday that there will be no agreement until government is sure there is a fair benefit for the people and the State. “The mine agreement has expired and we will renegotiate so that our people benefit most. Bai yumi stap na lukluk tasol ah? Nogat! Nogat! Em blong yumi. Yumi mas gat sampla share stap insait. Bai yumi stretim, Governor bai yumi stretim, mark my words. Yumi mas lukautim ol pipol blong yumi pastaim,” Mr O’Neill said. He told Mr Yama they had a big task ahead to negotiate the terms and conditions of the new agreement. Mr Yama said the Ramu Nico mine was the worst state-negotiated mine, with no benefits to the locals in Kurumbukari and Basamuk. Concerns have also been raised that minerals, apart from nickel and cobalt, have been extracted and exported. “The people of Basamuk must have spin-off businesses. They must have good roads, good housing, health centers, schools, water supply and electricity. Right now, Rai Coast and Usino-Bundi are the least developed districts in the country despite being hosts of the Ramu Nico mine and the Ramu Agro Industry,” he said. National planning minister Richard Maru visited Basamuk on Thursday last week and met with the mine operator, MCC, and encouraged all stakeholders to now focus on a way forward that will benefit the firm, province, landowners and the state. At the moment, the state is not an equity partner in the mine project. There has not been any corporate tax and no goods and services tax paid by the firm since production started in 2012. Furthermore, there is no benefit sharing agreement for the landowners in the project. Mr Maru said in the future, MoAs must have benefit-sharing agreements where landowners, the host province and the state must have shares in the project. This will be the case for Wafi-Golpu mine, the Frieda Copper mine and any other new mines. Mayur Resources Ltd announces that its 100% owned subsidiary MR Iron PNG Pte Ltd (MIPP) has signed a legally binding term sheet with China Titanium Resources Holdings Ltd (CTRH) relating to the development of Mayur’s Orokolo Bay Industrial Mineral Sands project in PNG’s Gulf Province with pilot scale bulk sampling planned to commence in Q3 of the 2019 calendar year. The Orokolo Bay Project is proposed to be developed in two stages. Stage 1 is the Pilot Plant comprising the construction, commissioning and operation of a pilot scale bulk sample that is already environmentally permitted to produce up to 100,000 t of iron ore sands per annum (over a 2‐year period) principally for the purpose of providing test scale shipments of product to potential off takers, with the endeavour they will then sign legally binding long‐term offtake agreements for the Full‐Scale Plant. Stage 2 is the Full Scale Plant. 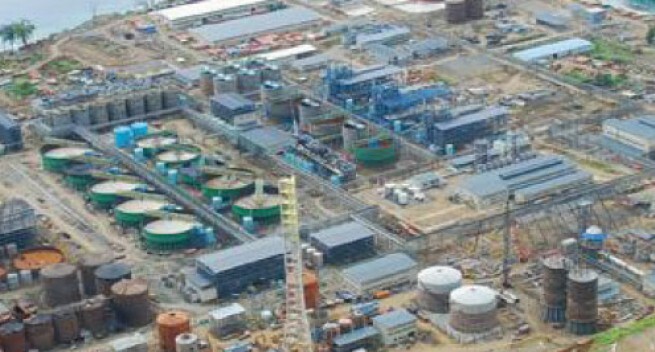 Subject to the outcomes of the Pilot Plant Bulk Samples including customer acceptance of product, obtaining the required permits and landowner consents for the Full‐Scale Operations, as well as the Definitive Feasibility Study, it is proposed to expand the capacity of the Pilot Plant to achieve total production capacity of 800 t/h run of mine (ROM) feed rate. In addition, a processing circuit is to be installed to separately produce construction sands and crude zircon concentrates (in separated form). a) CTRH to fund 50% of the Maximum Budget for the Stage 1 Pilot Plant that is to be agreed between the parties. MRL will provide the remaining 50% of the Maximum Budget for the Stage 1 Pilot Plant but may at its sole option defer payment of half (50%) of its funding obligation for the Stage 1 Pilot Plant, in which case CTRH will fund 75% of the Maximum Budget for the Stage 1 Pilot Plant. CTRH will be solely responsible for funding any expenditure in excess of the Maximum Budget that is required to construct the Stage 1 Pilot Plant. b) Should the conditions precedent for proceeding to the Stage 2 Full Scale Plant be met CTRH will fund the capital expenditure for the Stage 2 Full Scale Operation subject to the total funding provided by CTRH for both the Stage 1 Pilot Plant and the Stage 2 Full Scale Operation not exceeding $25 million. c) CTRH will receive a 2% equity interest in MIPP for each $1 million in funding contributed by CTRH, provided that CTRH’s total equity interest in MIPP is capped at 49%. d) CTRH will be solely responsible for funding the operating costs of the Stage 1 Pilot Plant and the related bulk sampling program during the operation of the Stage 1 Pilot Plant. MIPP with those loans being repaid, on a priority basis, from the cash flows generated by MIPP from the operation of the Stage 2 Full Scale Plant. for chemical processing, grinding or tailings dams. The process involves simple near surface ripping and then sand extraction that is separated by gravity spirals and low intensity magnets (LIMS), with the vast majority of the sand being placed back from where it was taken, enabling rehabilitation to occur almost immediately after mining, leaving a minimal foot print. A small island has found itself caught in the escalating battle for influence in the South Pacific. On both economic and diplomatic fronts, Papua New Guinea’s autonomous region of Bougainville has become a key piece in the game between Beijing, on one side, and the U.S. and its allies on the other. John Momis, president of the Autonomous Bougainville Government, told the Nikkei Asian Review that Chinese businesspeople raised the matter of investing in the mine on a visit to PNG ahead of last month’s Asia-Pacific Economic Cooperation summit in the capital, Port Moresby. The peace agreement signed by the PNG government and island leaders in 2001 created the ABG and set the stage for the referendum. Chinese involvement with the mine would give Beijing a direct role in the economic future of a newly independent nation as it seeks to secure resources and expand its strategic network. 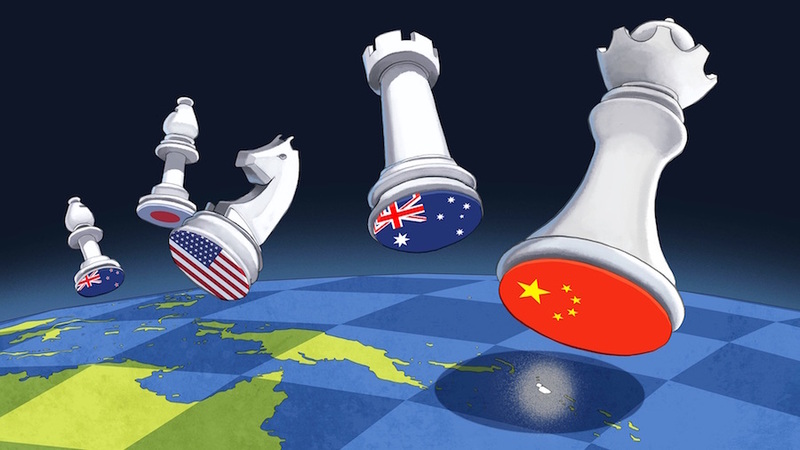 It would also boost China’s sway in its power game against the U.S. and regional rivals such as Australia. Diplomatic sources said 99% of residents will support independence; Ted Wolfers, a professor at Australia’s University of Wollongong, said the consensus is an “overwhelming majority” will vote that way. But he also suggested PNG would not let the island go easily. “PNG’s government might talk the autonomous government into settling for greater autonomy that falls short of independence,” Takehiro Kurosaki, a junior associate professor at Japan’s Tokai University said. The island, and particularly the mine, have a tangled present shadowed by a brutal past. The decade-long civil war that killed more than 20,000 people — about 10% of Bougainville’s population — was triggered by resentment over pollution and revenue distribution from mining. Bougainville was also a battlefield when Japan invaded the island during World War II in an attempt to cut off a sea-lane between the U.S. and Australia. PNG desperately needs foreign currency. 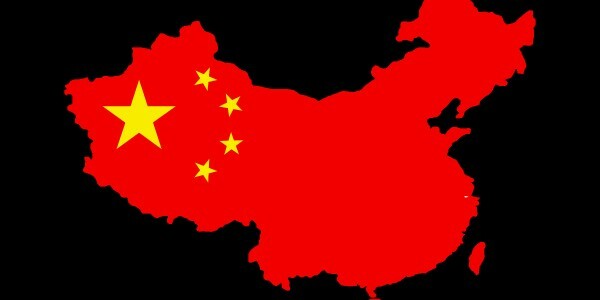 In September, the government issued its first dollar bonds and managed to raise $500 million — crucial funds as the country attempts to manage $2.5 billion in foreign debt, almost $590 million of which is owed to China, according to Reuters. “Beijing’s trade and investment in the region is focused mostly on Papua New Guinea, the region’s largest economy and home to rich gold and nickel mines, liquefied natural gas, and timber forests,” the U.S.-China Economic and Security Review Commission said in a report in June. The report notes that state-owned China Metallurgical Group manages development of a $1.4 billion nickel and cobalt mine in PNG, with funding from the Export-Import Bank of China. This, the report says, is “China’s largest single investment in the region and its biggest foreign greenfield mining project.” About 40 Chinese companies operate in PNG, according to China’s state-run Xinhua News Agency. Indeed, Beijing offered PNG about $60 million worth of aid to host the recent APEC forum, according to a diplomatic source. This included road repairs and a supply of bulletproof vehicles. China currently has eight South Pacific countries in its corner, including PNG, while Taiwan has the recognition of six, such as the Solomon Islands. Chinese President Xi Jinping has made little secret of his desire to deepen Taiwan’s isolation; there is talk of the Solomons, where China has also opened up its checkbook, switching allegiances. China’s outreach to the South Pacific has spurred Western allies to, belatedly, push back. In the run-up to the APEC meeting, Australia and New Zealand — long the main benefactors for South Pacific nations — joined the U.S. and Japan in announcing a plan to build up PNG’s electricity infrastructure. For now, the island states find themselves in the enviable position of being courted by China, the U.S. and its allies all at once. PNG has accepted a Chinese proposal to build an internet network using loans from the Chinese Ex-Im Bank and technological support from Huawei Technologies. PNG picked the Chinese proposal over one from the U.S. and Australia. A similar story is being told across the South Pacific. Vanuatu signed an agreement with China to take part in Beijing’s Belt and Road infrastructure initiative. In return, China agreed to a moratorium on nearly $3 million worth of debt, according to a local newspaper. In April, reports surfaced that China was planning to build a military base in Vanuatu. Alarmed by this, the U.S. and Australia swiftly moved to start talks with the island state on a bilateral security treaty. The increased attention from partners, both old and new, means that Pacific nations “now have more leverage,” said Jonathan Pryke from the Lowy Institute, an Australian think tank. The issues of the mine and referendum puts Bougainville firmly in the spotlight. While the situation on the island is replete with risks, Panguna’s reserves are very attractive to China, the world’s largest copper consumer. The deserted mine contains more than 1 billion tons of ore, according to a study from 2009 — more than the 675 million tons extracted over the 18 years it was open. These deposits look even more valuable given global concerns over copper supplies, due to emerging market demand, depletion of known resources, rising mining costs and limited new discoveries. A number of companies are circling. A Lowy report said there has also been corporate interest in the mine from Australia, the U.S., Canada and Brazil. Whoever wins out will be able to cement a foothold in the region, but it will come at a financial cost. Professor Wolfers said interested parties would have to consider the startup costs of reopening the mine, which he sees reaching as much as $8 billion. Bougainville’s President Momis said the island’s government was taking a cautious stance on the investment interest. “We don’t believe anybody who comes and talks about these issues until we see things in concrete and on paper,” he said. Nikkei staff writer Sarah Hilton in Tokyo and researcher Jennifer Walpole in Sydney contributed to this report. Papua New Guinea’s mining minister says the government is looking at changing parts of a mining deal struck with China. 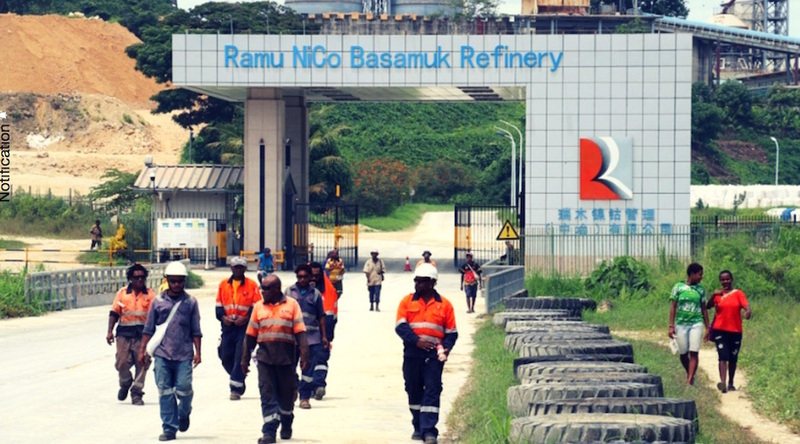 In November, China and PNG signed a $US148 million memorandum of understanding to extend the Ramu nickel mine’s refinery in Madang’s Basamuk Bay. But more than 1,000 locals are now threatening to shut down the Basamuk refinery if their demands aren’t met. They want funding for a local highway extension and other local benefits from the Chinese developer, the Metallurgical Corporation of China. The minister, Johnson Tuke, met with landowners on Tuesday and said he’s now raising their concerns with the company. The petitioners have given the government until 19 December to respond to their demands.